My heart is broken. This morning after attempting to syringe feed (he spit it out) Gerber, he collapsed onto the floor and never got up. His blood work came back this morning and even with all the treatment and medical care, his illness has progressed. 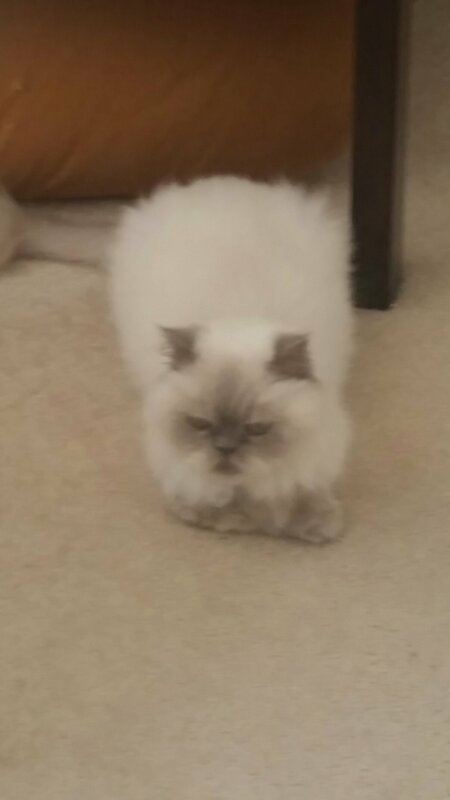 Around 10:30 this morning Gerby crossed over the rainbow bridge. Thank you everyone so much for all your help in extending Gerber’s life. He had a quite a few extra days lying in the sun because of you. All the left over medications (some unopened) and fluids will be donated to families with pets in need who can’t afford medical care. This is very, very sad news. I know how Wendi must be feeling at his loss as I lost my dog Cookie in 2010 and it was a devastatingly sad time. My condolences go out to Wendi on Gerber’s passing. Though I didn’t know Gerber personally, he was clearly a strong little cat who fought and fought like a little champion. He stole my heart and I’m sure many other hearts as we followed his journey. Rest in peace little Gerber. Benji, The Gay, Irish Bull Saved From Death! Yay! 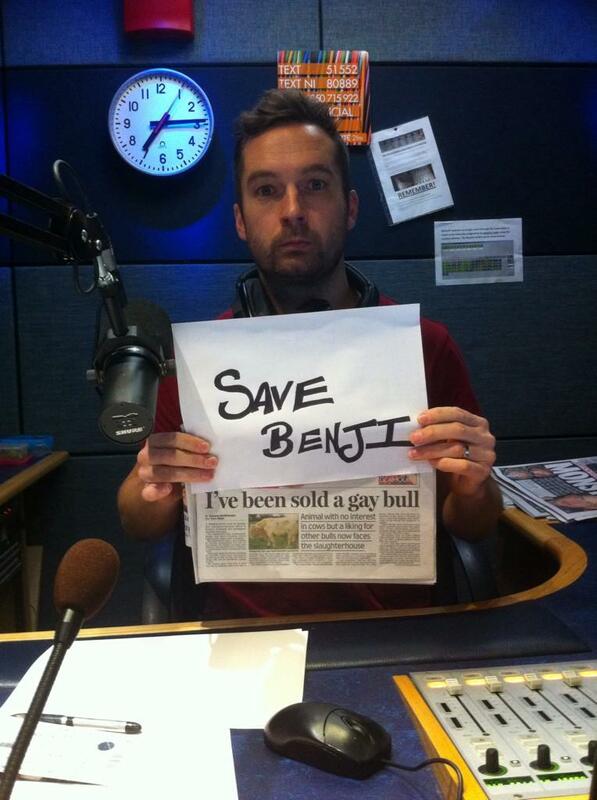 I hadn’t heard about this story until today and I am so happy that Benji the bull has been saved. Now he’s off to an animal sanctuary to enjoy life and hopefully meet a nice English bull. 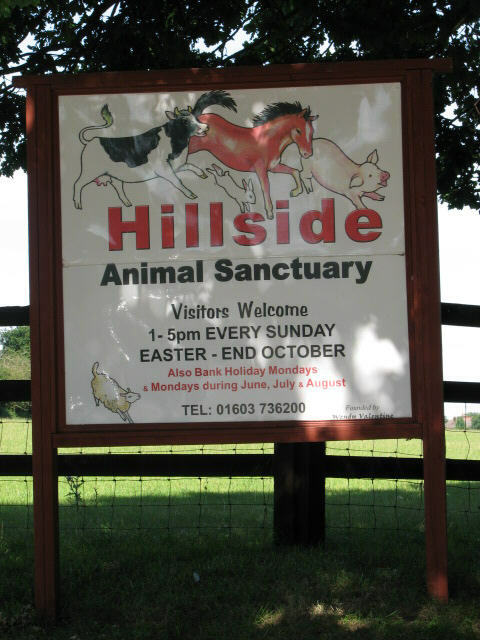 Saved from the slaughterhouse with the help of co-creator of The Simpsons Sam Simon as well as a further £4,000 by a crowd-funding initiative set up by ARAN and TheGayUK.com after an appeal by animal rights groups ARAN and PETA Benji is off to Hillside Animal Sanctuary in Norwich. 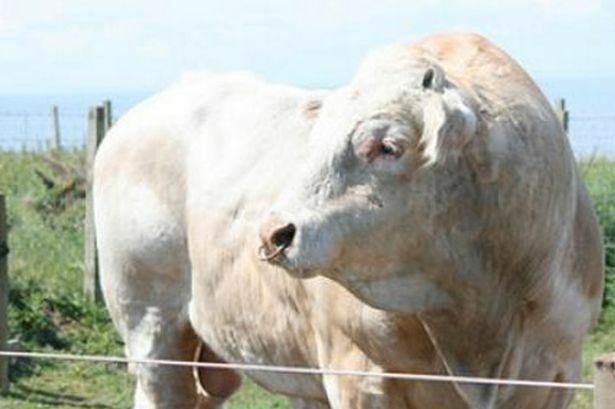 Benji is a Charolais bull from Mayo here in Ireland and came to attention internationally when it was heard that he was going to be slaughtered because he was gay. Because Benji wouldn’t mate with and breed with female cows the farmer thought he had no other option but to feed him lots and then kill him. 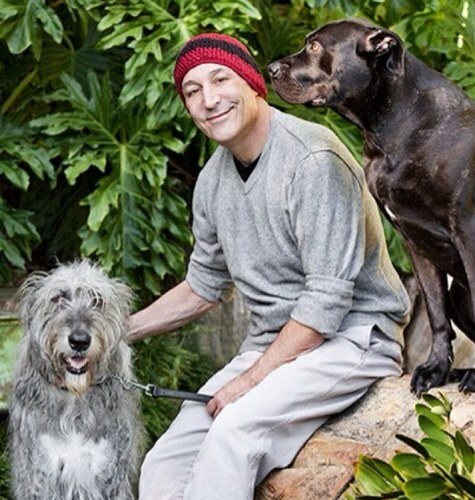 But that wasn’t how everyone felt as donations flooded in including Sam Simon’s £5,000 to purchase Benji. Arrangements have been arranged by ARAN to transport Benji to the sanctuary and he is expected to arrive before Christmas. There was over 250 donors, supporters and members of the public on hand to fund his transfer to his new home. PETA’s hope is that people will consider becoming vegetarian and save many more animals like Benji. Dolly The Dog In Reunion With Her Owners! Dolly the dog who was found at this year’s Glastonbury event has been reunited with her owners. Singer Dolly Parton, who was set to adopt the darling dog, said that she was happy to see Dolly been reunited with her owners by the Happy Landings Animal Shelter but admitted that part of her had been “looking forward” to having Dolly in her life. Dolly Parton Set To Adopt Dolly The Dog! 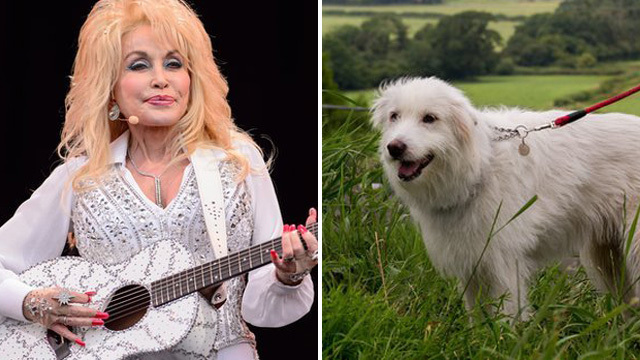 Dolly Parton is set to give a home to a dog who was rescued at Glastonbury this year. 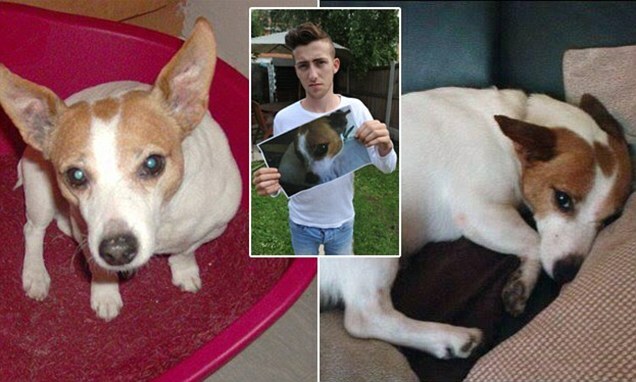 Vet Accidentally Puts Down Jack Russell Gunner. R.I.P. Gunner. A bit laid-back considering it was a living and breathing dog’s life. Gunner’s owner animal welfare worker Nicholas Murphy, 22, brought Gunner, to the vet after his cough didn’t go away and staff at the practice told him that they would give Gunner an injection, which he thought was a dose of antibiotics. But realisation occurred when the vet asked Murphy and his brother if they wanted to bury Gunner at home or there at the surgery. Murphy questioned the vet and that is when the vet replied with “Mistakes do happen” leaving Murphy and the rest of his family “shellshocked” and “confused”. Murphy lives in Worcester with his mother Karen Wood, 48, sister Hannah, 17, and brother Paul, 14. Murphy has since lodged a complaint against the vet and Gunner has been buried in the family’s back garden. While Ian Holloway, a spokesman for the Royal College of Veterinary Surgeons, said it could not comment on individual cases. He also said that it would investigate all complaints received. I’m sure the vet, the receptionist and all concerned feel terrible about what has happened and I wish them the best in getting rid of the guilt. But most of all I feel terrible for the family and Bobby, Gunner’s dad Bobby who the family also own who must be lost without him, in losing Gunner. I know that it is so difficult losing a pet and especially when you have them a long time. To be honest they aren’t even just like a pet. They become like family to you and your best friend all rolled into one. I lost my own dog who was 12 but at least he died naturally. This is so heartbreaking. I understand the grief but to lose the little baby like that must have been so cruel. This is horrible. Please take the time to read this and help if you can. Just a couple of days ago, there was a horrific case of animal abuse here in Calgary. A dog and a cat, found starved to death and dumped in an alley. The person responsible (and I use the term “person” loosely) hasn’t been found yet. But a group in Calgary has set up an Indiegogo for a reward to help find the person responsible. It’s at $17,000 right now. I’m trying to think of a way to help out, because I’m flat broke. I’m sharing this on all my social medias in the hope I can inspire someone to help out. Because I keep thinking about what it would be like to suffer and die like this and be completely helpless to stop it and damn if it doesn’t break my heart.